So Summer is here. Did you notice? And in anticipation of days by the pool, warm evenings on the patio, and adventures with family, it is time to suit up. 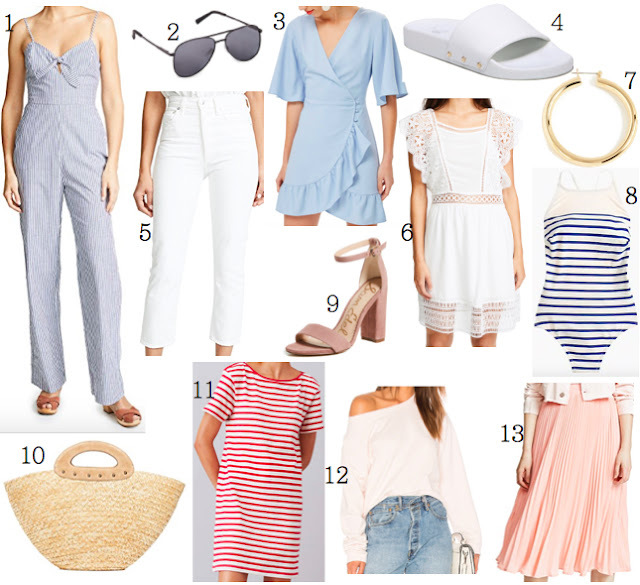 I wanted to come up with a list of the perfect additions for your closet in price points for everyone. All of it is amazing and in fact, the lower priced items might be my favorite grouping to date. So many sites are having huge sales too! 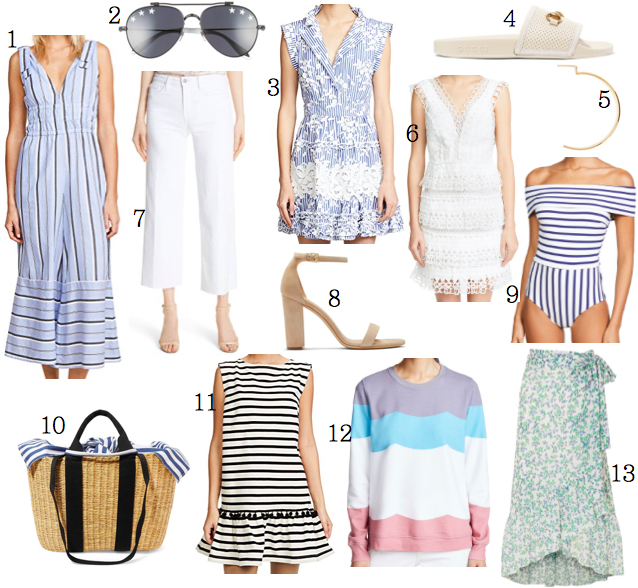 I tried to pull as much from them, but you can check out Nordstrom, Shopbop, Net-a-Porter, J. Crew, and Loft for more details. So here is to a happy Summer, may we stay sane and stay cute.